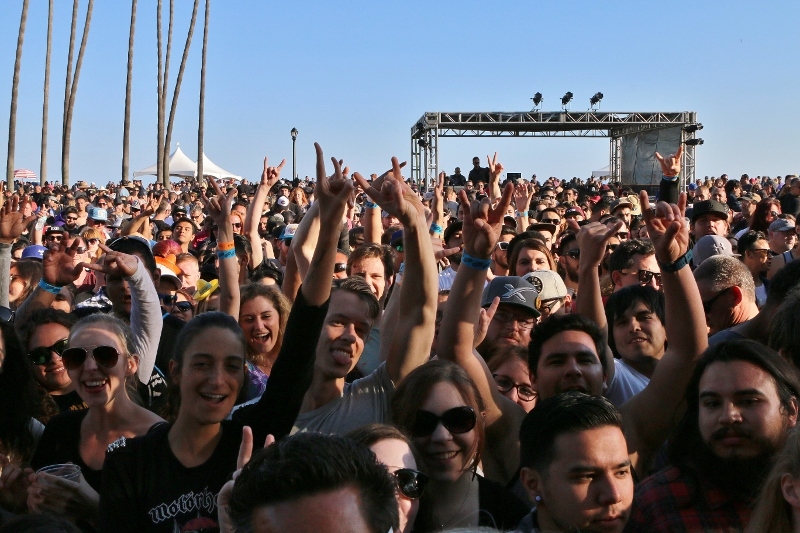 Ok, so you are having an all day festival, at the beach, on a beautiful, sunny, Southern California Saturday, with over 100 craft breweries, and a whole bunch of local eateries serving out gourmet taco’s, you would think that would make a fine afternoon. Indeed it was. 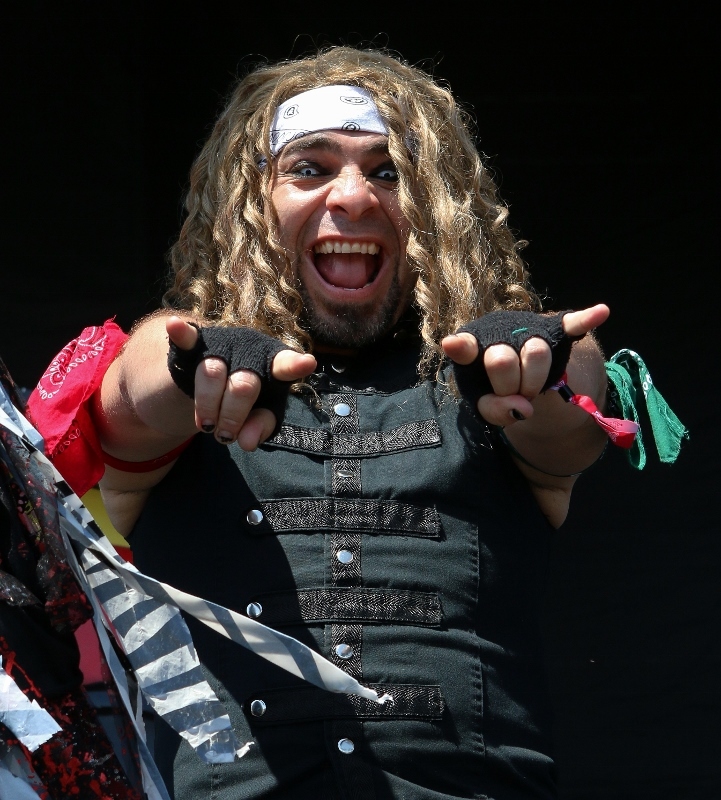 But throw in some quality headline music acts, some “Lucha Libre” style wrestling, and a taco eating competition featuring some of the top world-class competitive eaters as well as offer me a photo pass? I’m all in. The ultimate Fiesta, as one would think. 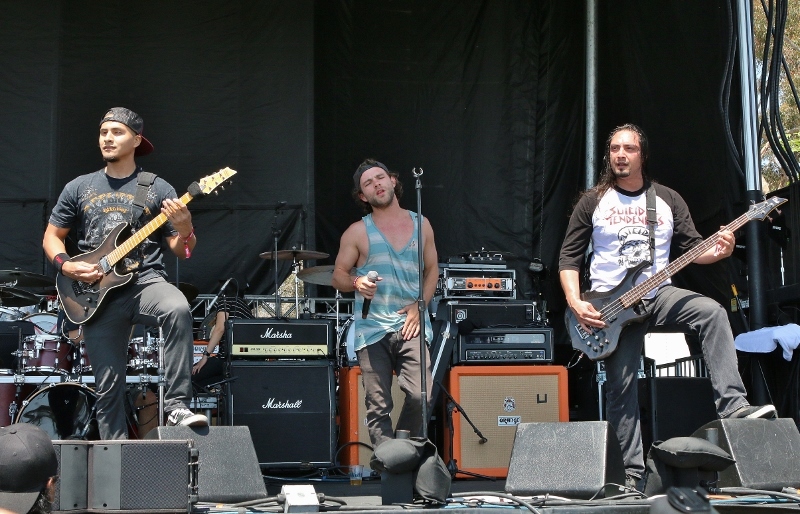 So was the 4th Annual Sabrosa Craft Beer, Taco And Music Festival. 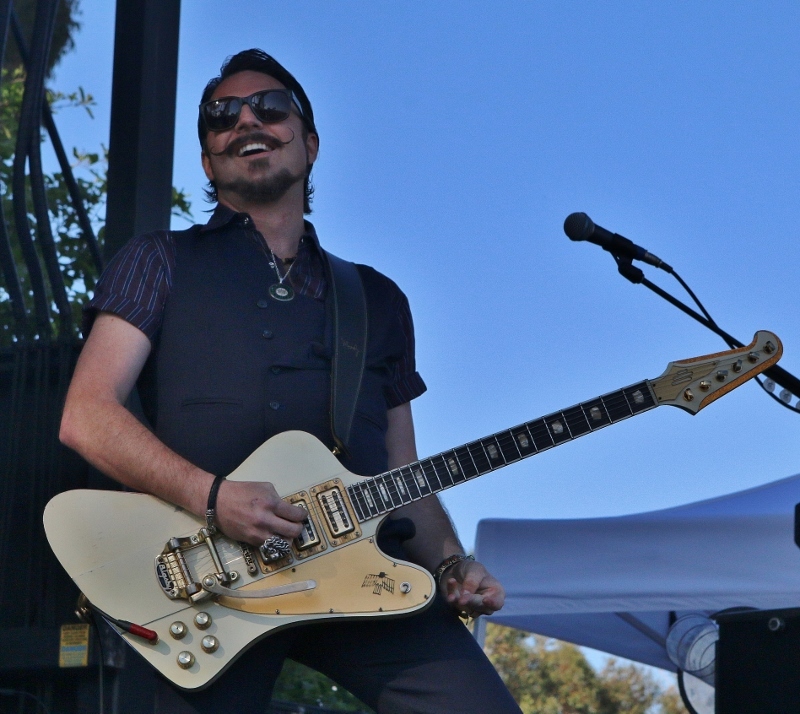 Presented by “Brew Ha Ha Productions,” local festival producers SGE, and sponsored by local radio station KLOS as well as Gringo Bandito Hot Sauce, and a host of others, it all came together in the beautiful setting of Doheny State Beach in Dana Point, California. 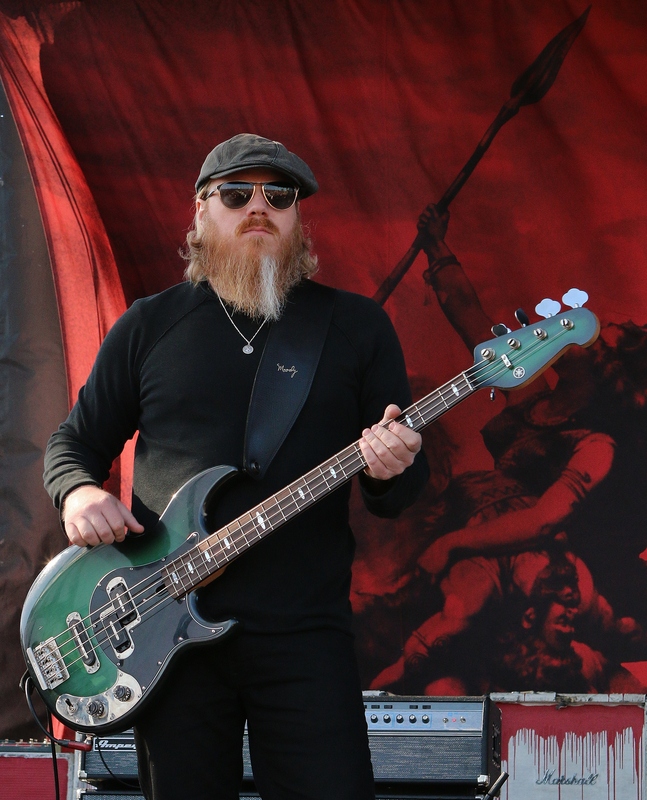 It was attended by thousands of beer, food, and music fans just like myself, and all had a great time. Lots of lines at the beer tents, where tastings were part of the admission price, and would end at 4 pm although most kegs were pretty much dry by that time. 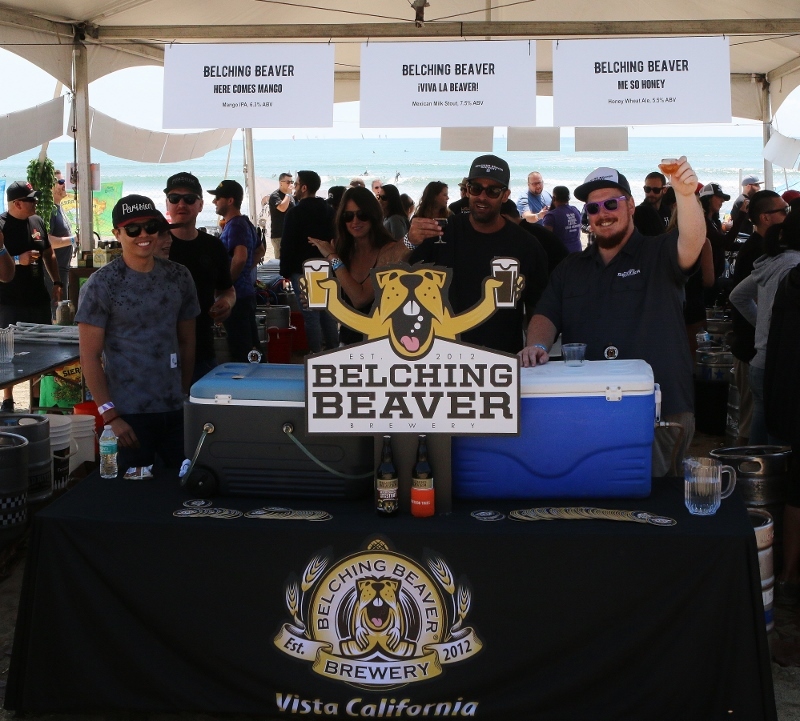 Some of the beers I tasted and enjoyed were Belching Beaver Breweries “Here Comes Mango”, and “Viva La Beaver”, Stereo Brewing’s “Tales Of Brave Ulysses” Scottish Ale, and Barley Forge Brewing Co “El Technico” Amber Ale. All the tents were packed all day with happy beer lovers from all over the county and beyond. A great vibe was had all day. No violence or any real rowdy behavior that I could see, and I was all over the place all day. As for tacos, there were plenty. Everything from the usual steak and chicken and carnitas (pork), to lobster, shrimp, tofu, and I even had a roasted Brussel sprout taco! 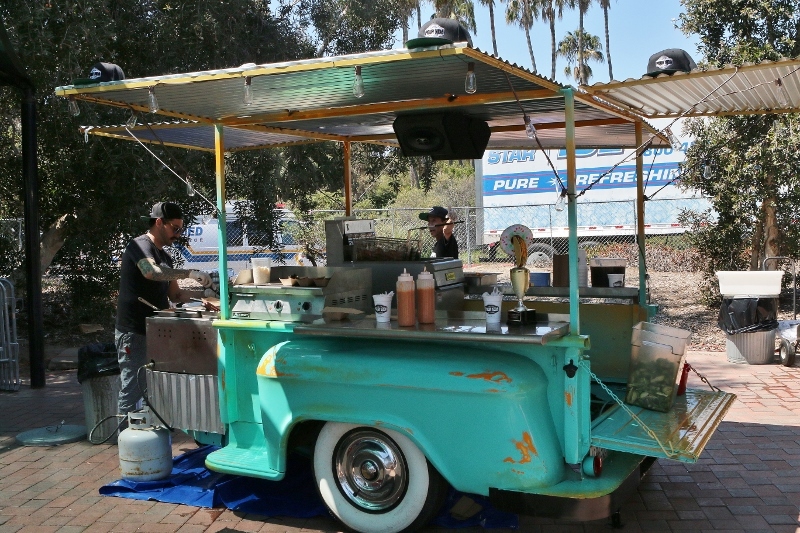 Food trucks and tents were everywhere, each hawking their products to happy customers. What I liked was that they all were the same price. Three bucks per taco! Pretty fair in today’s market where I have seen the same products for twice that price. 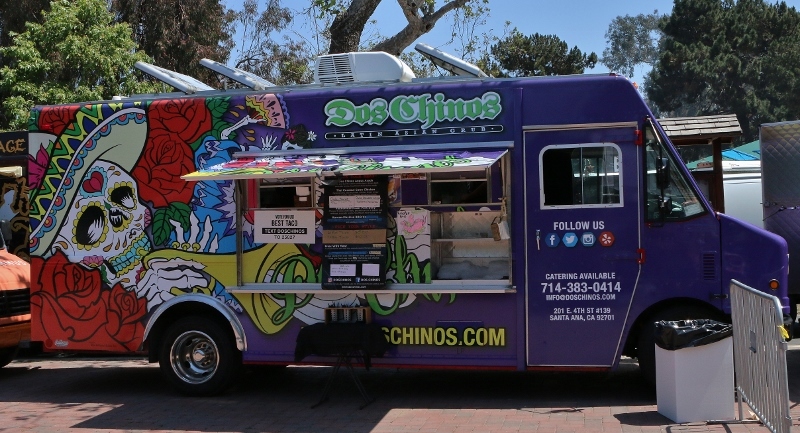 Some of the eateries that were there included Por Vida, Cousins Main Lobster, Chronic Tacos, and Pink taco. 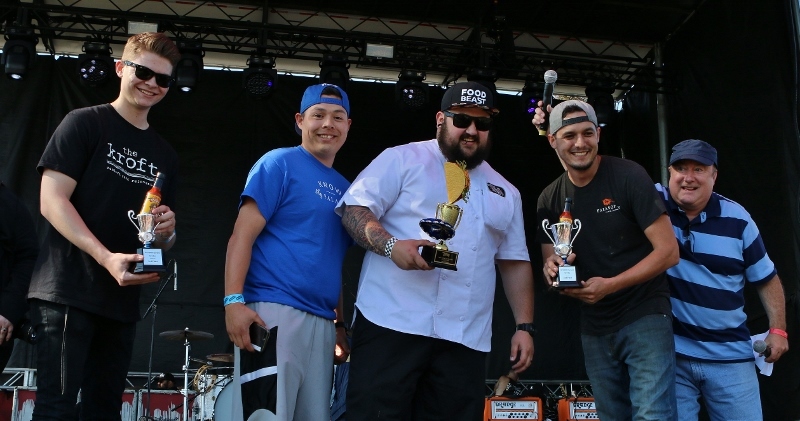 You really could not go wrong at any of the booths, but there was a competition for best taco. 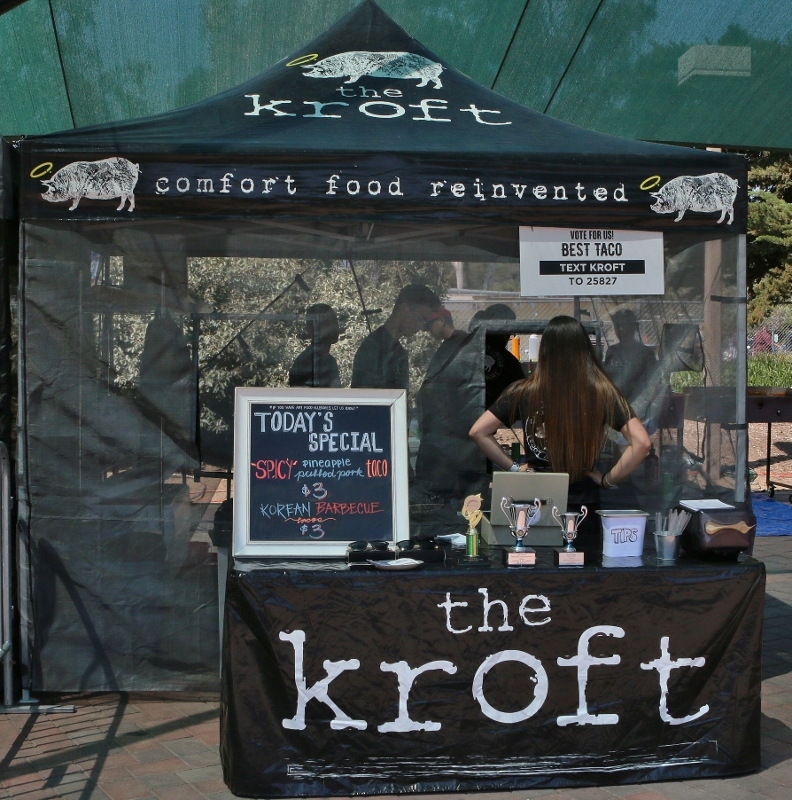 The “Best Of Show” Winners were Mess Hall Canteen, with Falosophy and The Kroft as runners up. Personally, I liked every one I sampled. 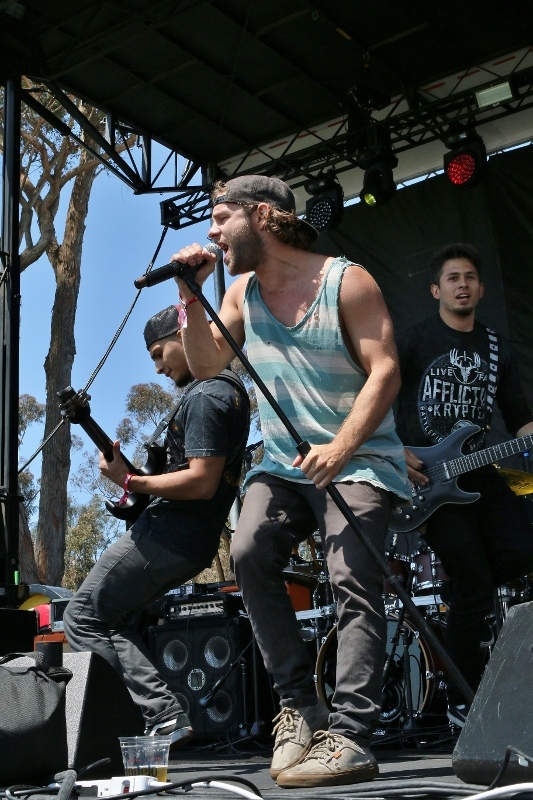 As for the music, it was an outstanding lineup of mostly local, Orange County based bands. Openers FUSED BY DEFIANCE reminded me of RAGE AGAINST THE MACHINE, among other influences, and they told me they won the opening slot at a competition at Fullerton’s “Slidebar” which is owned and operated by guitarist Jeremy Popoff, who’s band LIT also appeared onstage at Sabrosa later in the afternoon. 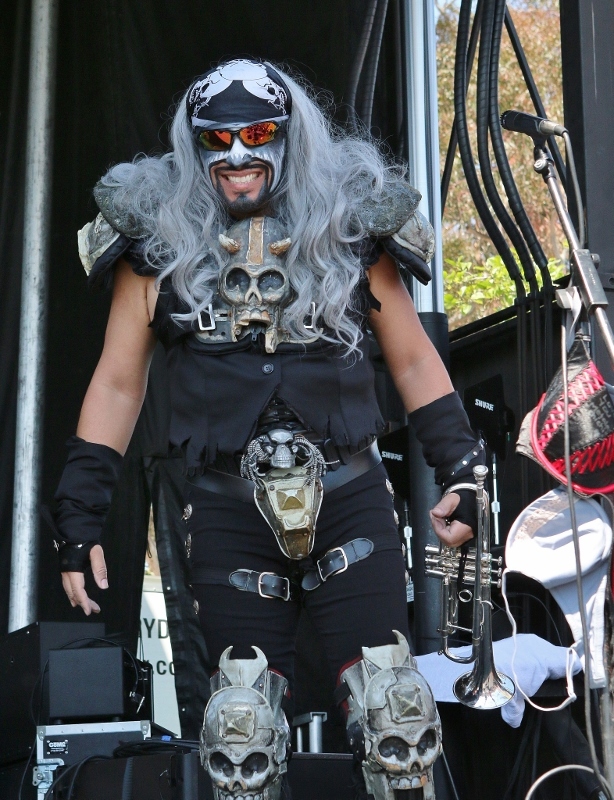 The Metal-Mariachi fusion of METALLACHI really got the crowd going as their brand of humor, outrageous costumes, and parodies of Metal Classic’s like SLAYER’s “Raining Blood” were the perfect ingredients to this fiesta. 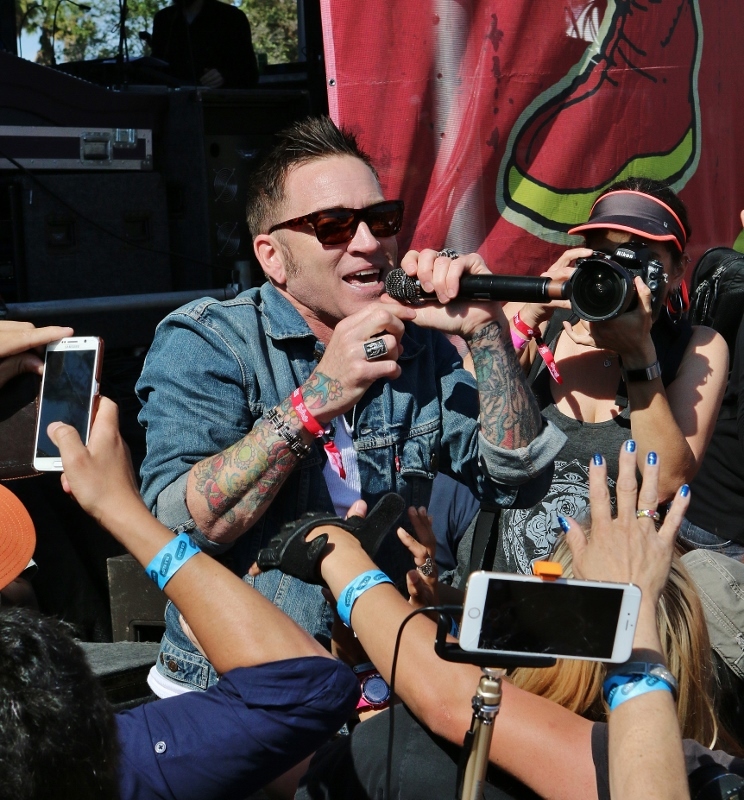 Fans of the band UNWRITTEN LAW had a great time screaming along to the San Diego band's tunes like “Seein’ Red”, which started not only a huge hand-waving sing-along, but scattered mosh pits among the sold out festival. 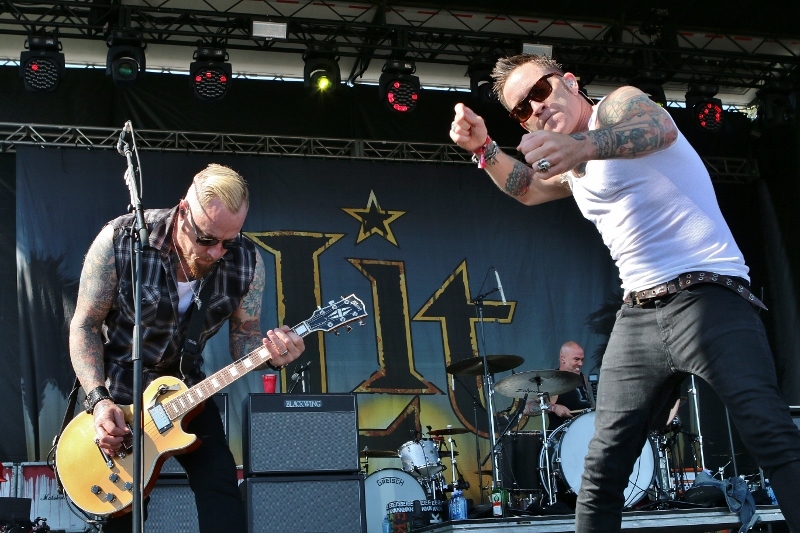 As mentioned, multi-platinum selling LIT played a set featuring not only their huge hits like “Miserable” and “Four” from 1999’s massive selling A Place In The Sun release, but also tried out a few upcoming songs from their as-yet to be released new recording, which seemed to go over well. I have always liked this band. 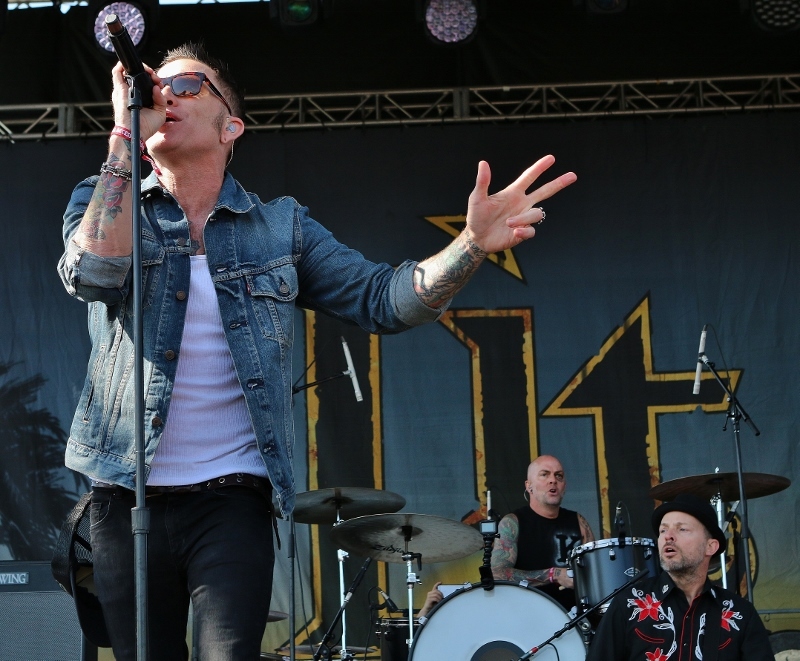 Great guys and great songs who always put on an exciting rock show. 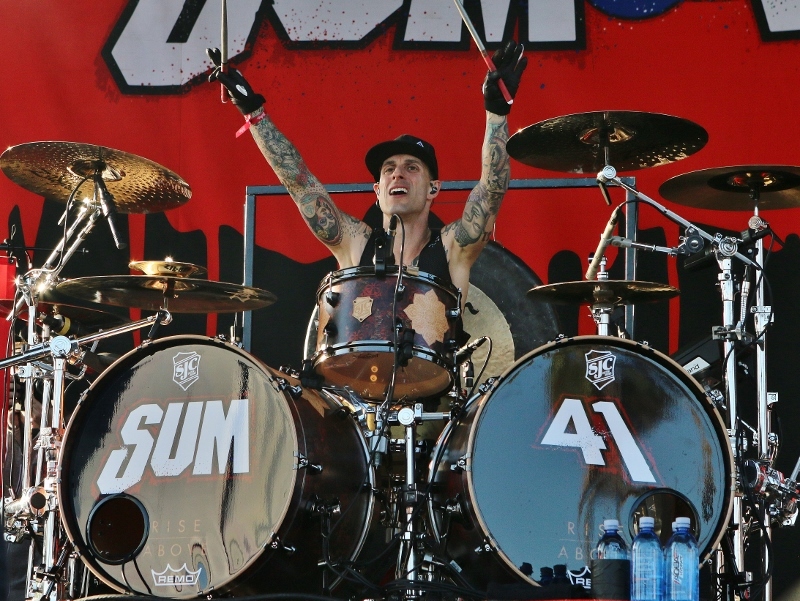 They ended their set with “My Own Worst Enemy”, probably their biggest hit. One interesting note about the set. Right before playing “Miserable” they had a fan come up onstage and propose to his girlfriend (She said “yes”) and were serenaded with the aforementioned tune. Hell of a lyric to start a happy occasion, don’t ya think? 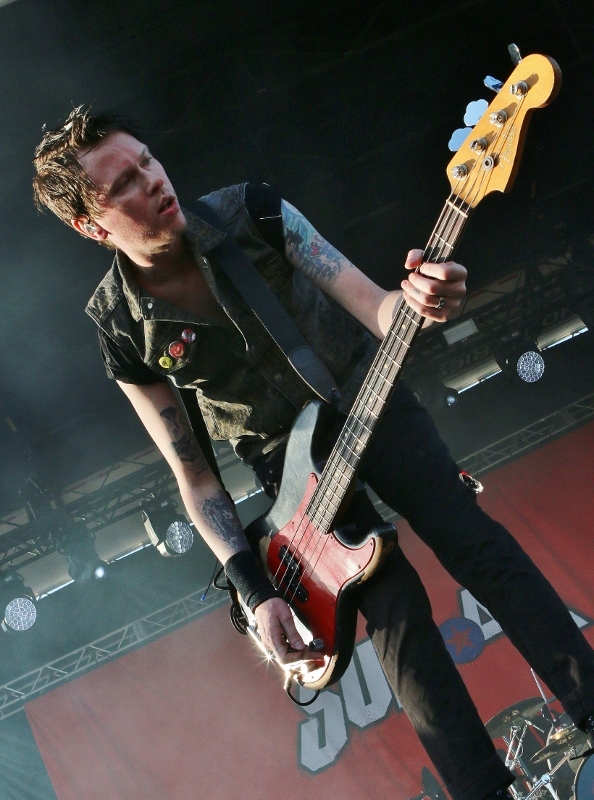 “You make me completely…miserable…”. In between the bands, there was “Lucha Libre” wrestling matches in a wrestling ring set up right on the beach. Many masked and brightly costumed wrestlers cavorted around the ring and mugged and grunted to the delight of the crowd, who were pretty stirred up although in a totally different way than the effect from the bands and beer. 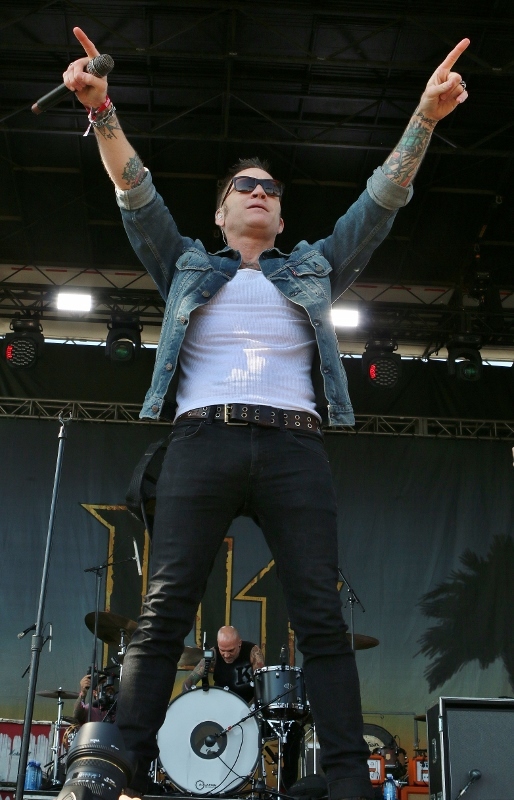 Again, in the whole scheme of things, it was another perfect choice to entertain a crowd at a taco festival. 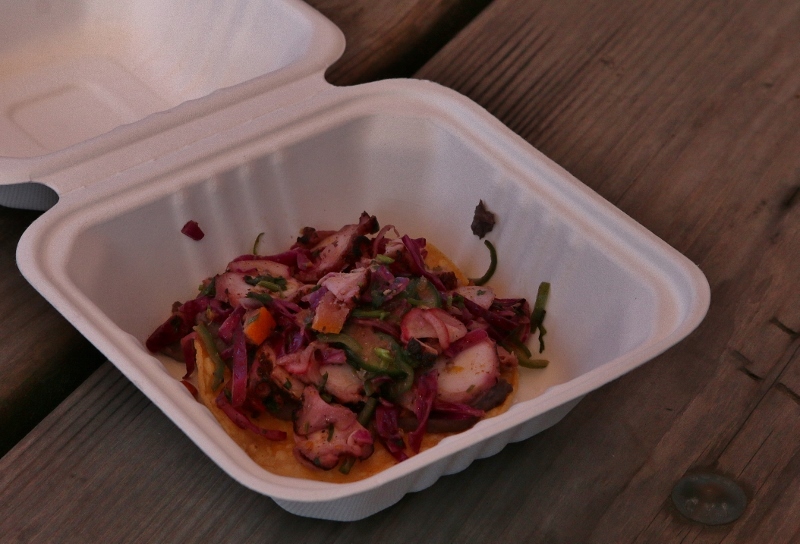 Tongue and cheek humor went along perfectly with pork tacos made from tongues and cheeks of swine. 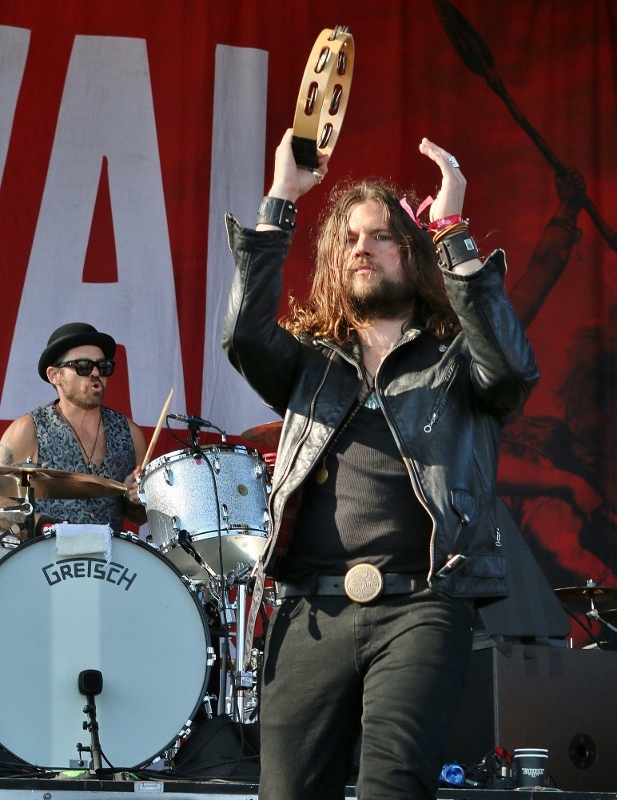 Long Beach band RIVAL SONS put on my favorite set of the day. 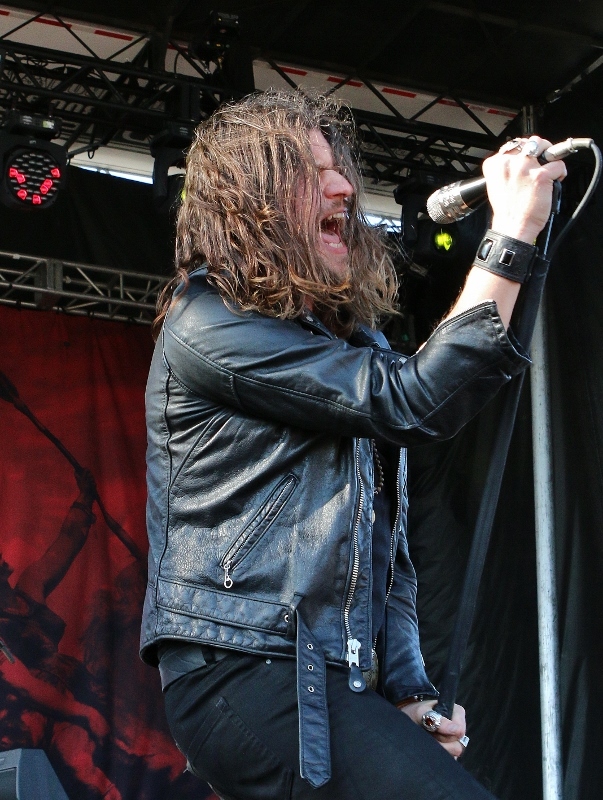 Singer Jay Buchanan’s soulful vocals and dynamic stage persona made many in the crowd believers after seeing them for the first time. Opening with “Electric Man”, it was almost like an old-time revival meeting as the band mesmerized the increasingly inebriated crowd. 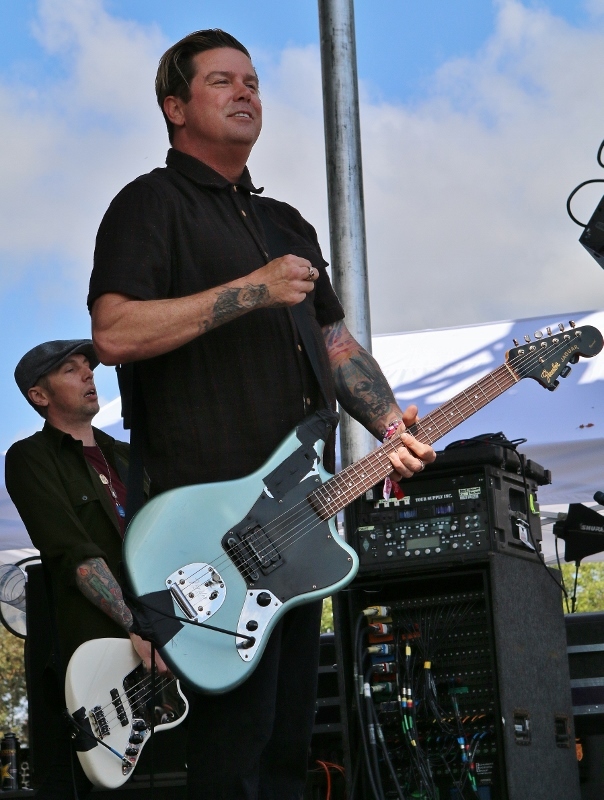 Buchanan took off his shoes for “Pressure In Time” and continued to belt his heart out, as guitarist Scott Holiday blasted out riff after riff. 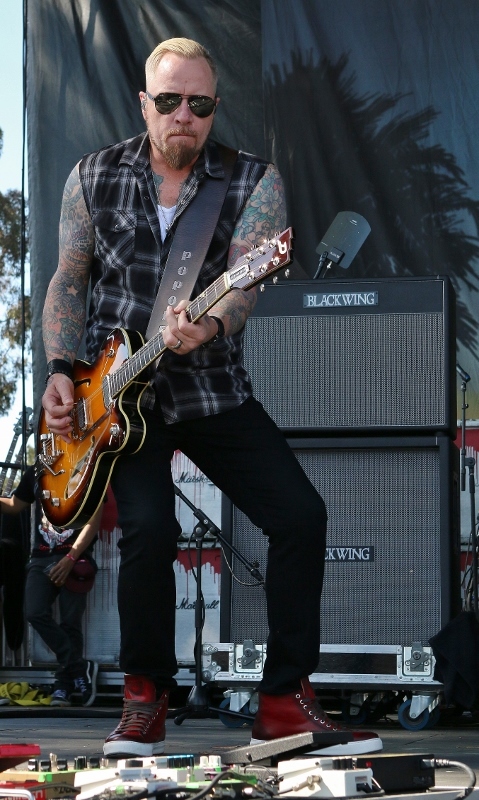 “Burn Down Los Angeles” was one particular high point as the sold out crowd of over 8,500 sang along on the chorus. Just a great band, in a great setting. 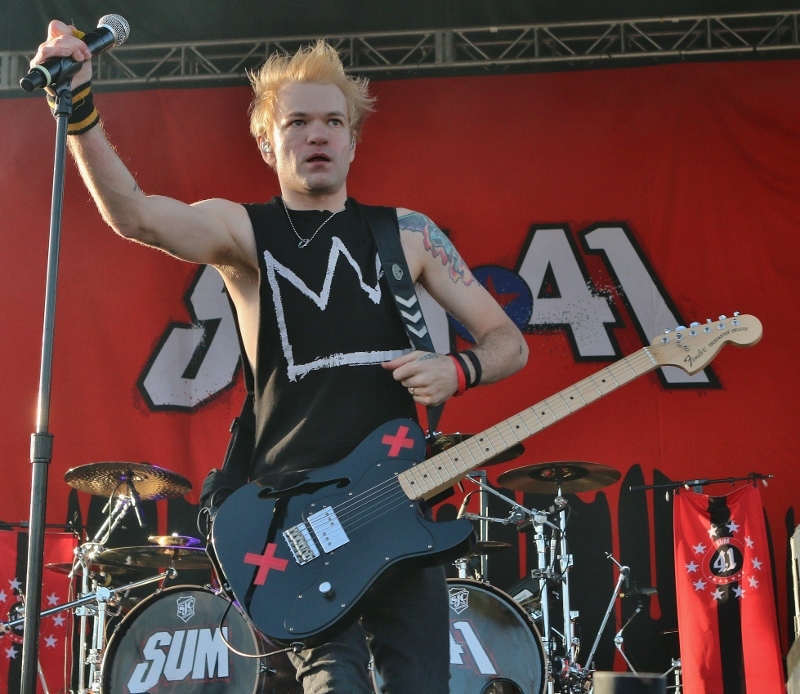 SUM 41 did their post-punk pop thing to a huge response during their 17 song set. 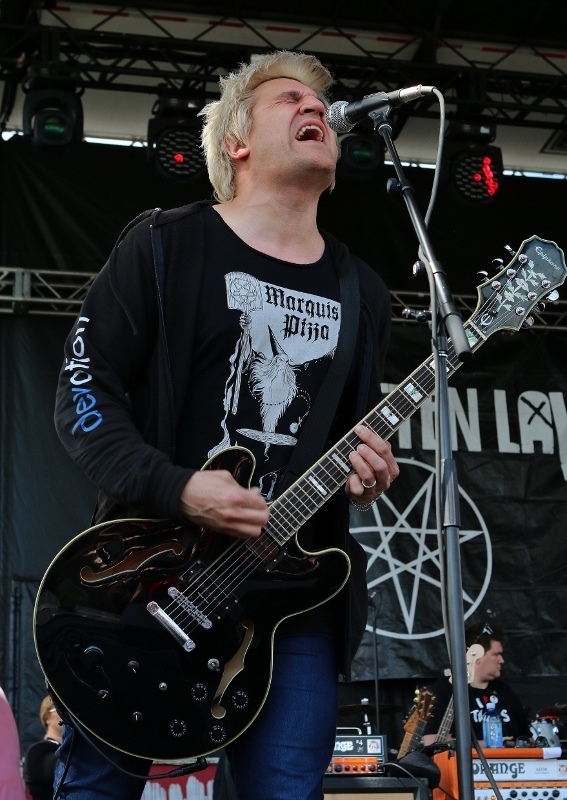 Even though they have kind of been off the radar the last few years, they are back with a vengeance and the crowd loved them from the opening number “The Hell Song”. 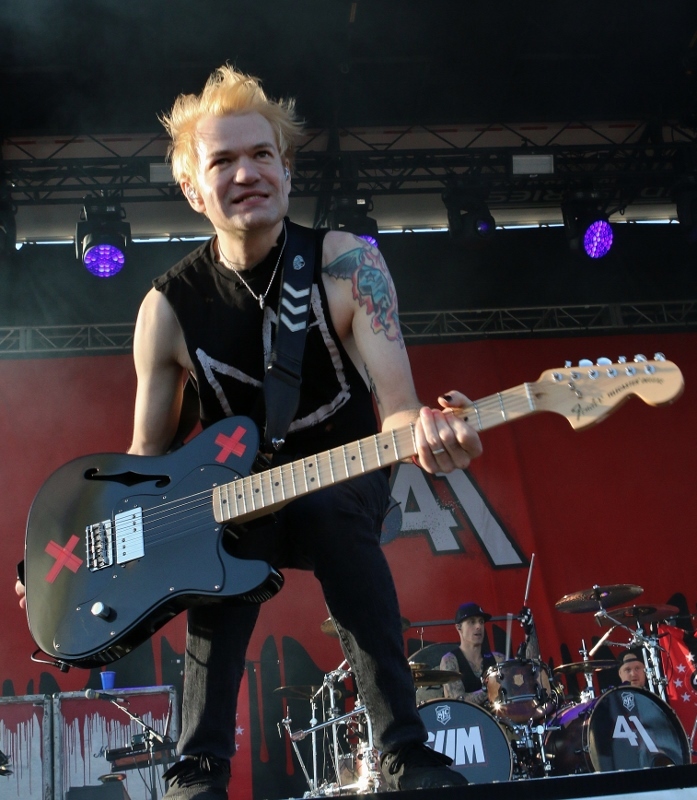 Singer/guitarist Deryck Whibley has had his share of health problems in the past, but was a ball of energy throughout the set. 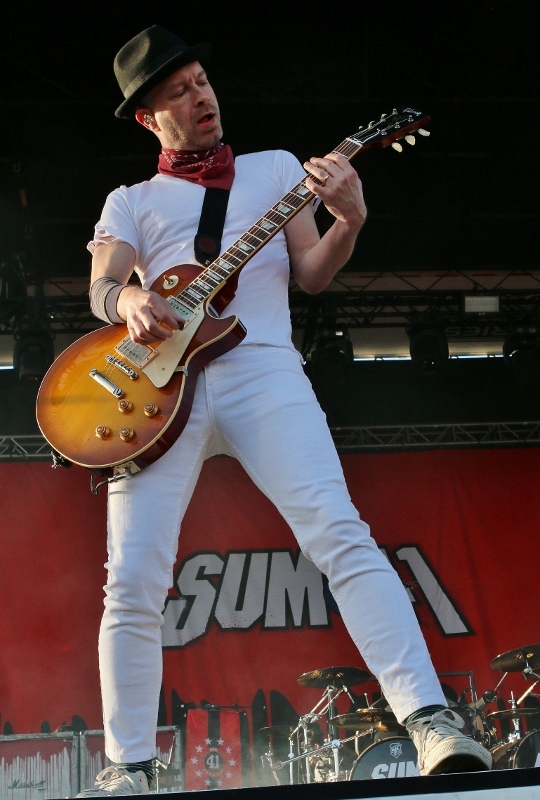 A nice segue of the QUEEN classic “We Will Rock You” into the huge hit “In Too Deep” was a highlight for all SUM 41 fans, as was the set ending “Fat Lip”, which was the band’s first single from 2001. 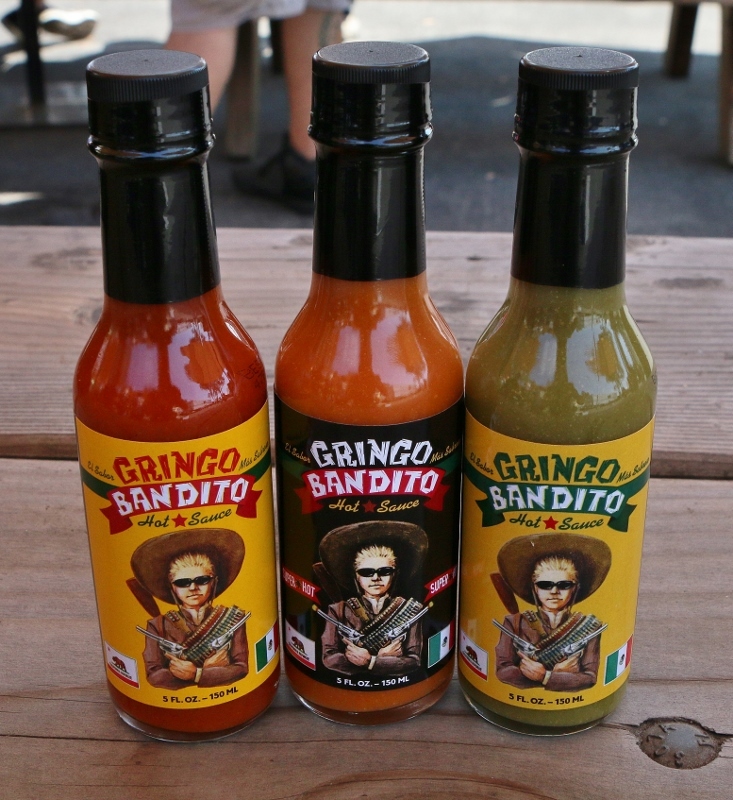 After SUM 41, the stage was set for the “7th Annual Gringo Bandito Chronic Taco Challenge”, a taco eating contest onstage sponsored by Gringo Bandito hot sauce, (which, incidentally, is owned and operated by OFFSPRING singer Dexter Holland) and local restaurant chain Chronic Tacos, who’s part owner is none other than Jason Acuna, better known as “Wee Man” from the popular TV series/movie series Jackass. 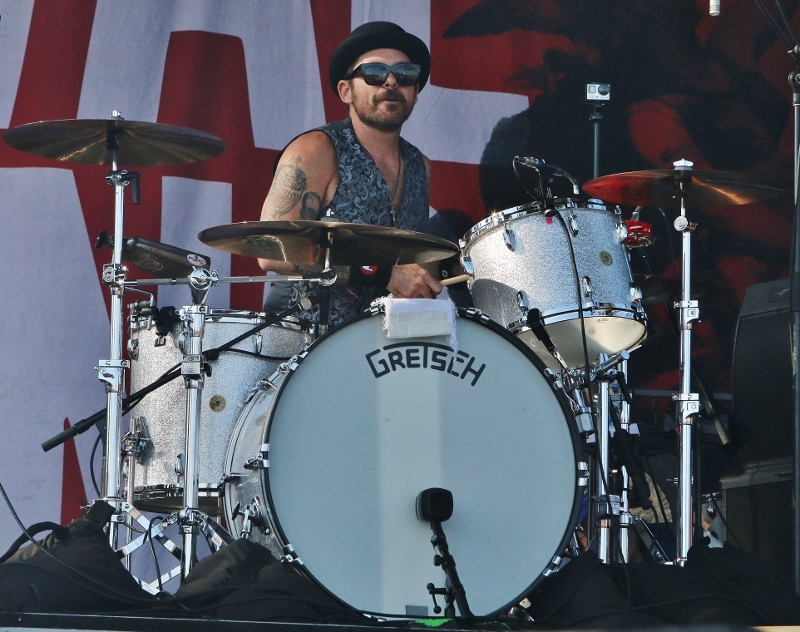 Wee Man was having a good time mugging and tossing bottles of water to the amped up crowd. As for the competition, there really was no competition at all. World record holder and long time competitive eater, Japan's Takeru Kobayashi, broke his own record by devouring an amazing 159 tacos in 10 minutes! The only person that even came close to him was FEMALE competitive eater Molly Schuyller, who downed a respectable 132. Kobayashi celebrated his accomplishment by standing on the table and lifting his shirt, to show off his full belly to the delight of the crowd. 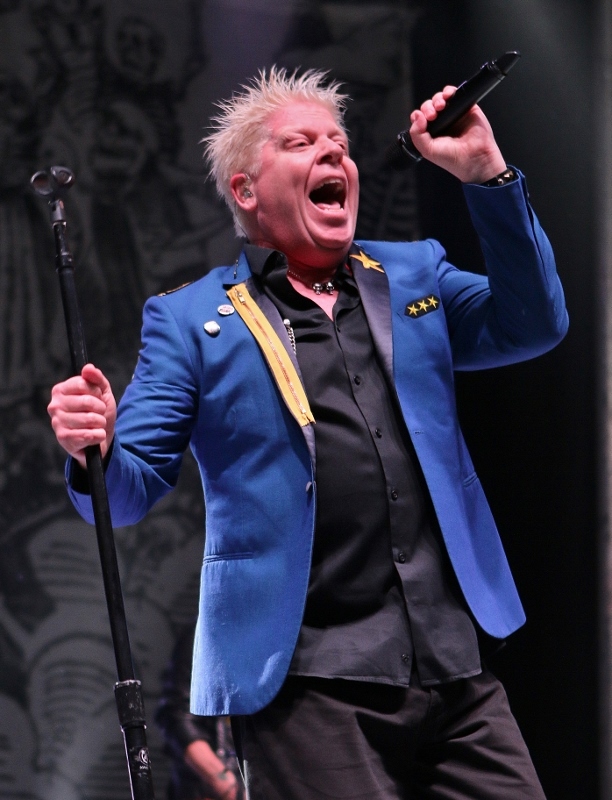 As you can imagine, the cleanup after such an event took some time, but eventually, Huntington Beach-based headliners THE OFFSPRING hit the stage and proceeded to give a good old fashioned punk beach party. 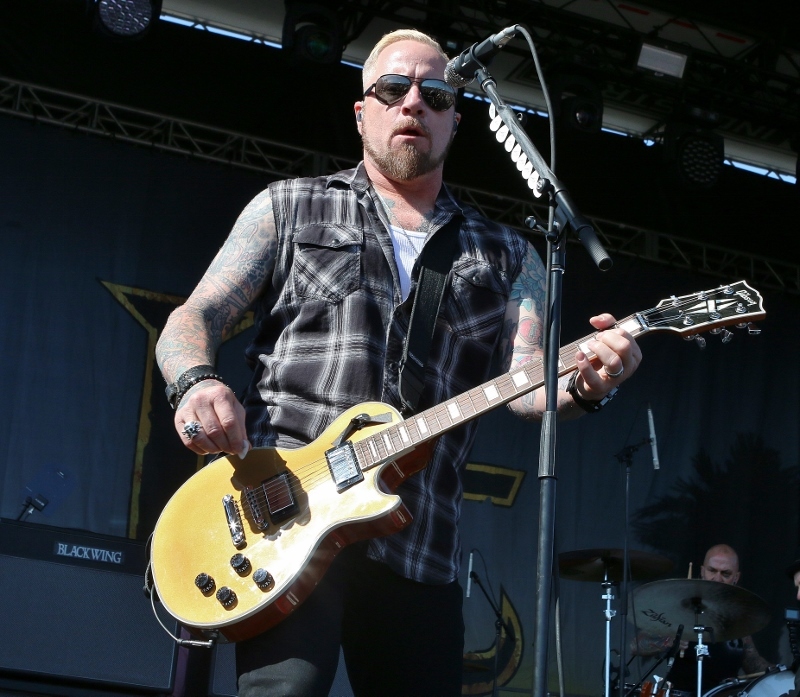 Opening the show with "You’re Gonna Go Far Kid", and keeping a frantic pace throughout its 19 song set, the band showed that they really have not slowed down too much since they first burst on the scene in the mid 1990’s. 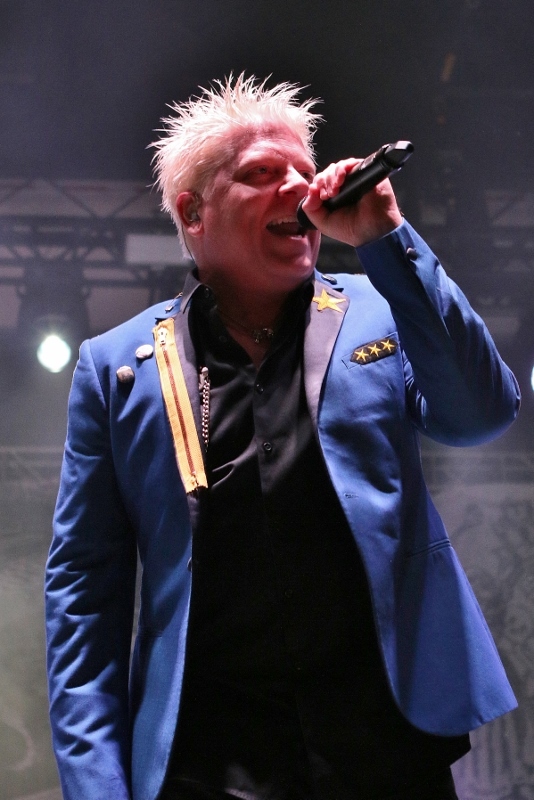 Singer Dexter Holland, looking resplendent in a bright blue jacket, looked like he was clearly having fun in in his own backyard, and he just about was, although about 25 miles south. 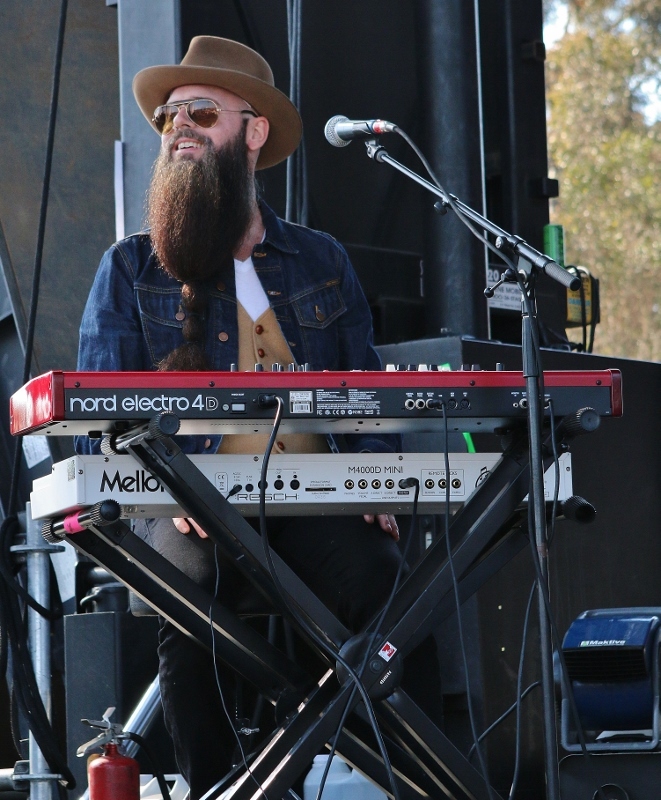 During “Come Out And Play” he almost didn’t even have to sing as the late crowd knew every word and sang at the top of their lungs, bringing a huge smile on Hollands face. 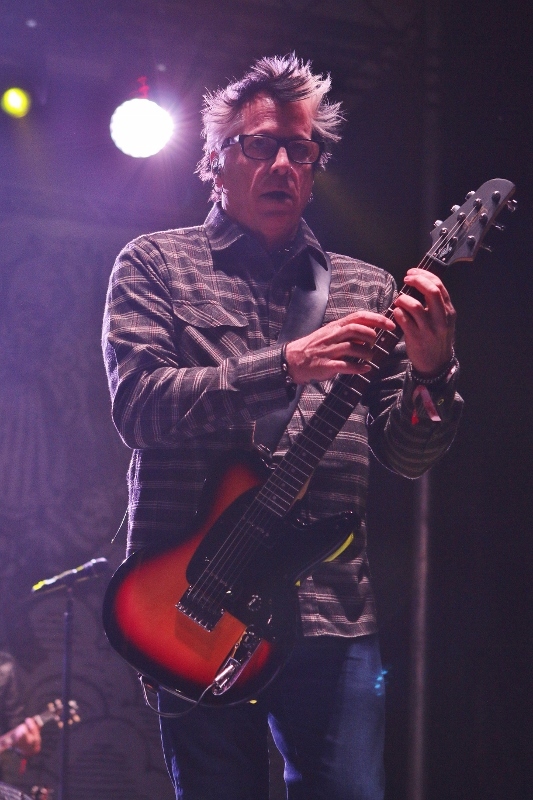 Guitarist “Noodles” Wasserman cranked out the hits like “Gone Away” and “Bad Habit” and the rhythm section of bassist Greg K and drummer Pete Parada kept OFFSPRING’s frenetic pace intact throughout. ”Pretty Fly (For A White Guy)” and the set closing “Self Esteem” are OFFSPRING classics, and all in the crowd enjoyed every minute of the show. I looked around and could not think of a more fun way to welcome Spring to Southern California. Smiles, full bellies of beer and tacos, and great entertainment, while a full summer at the beach awaits. 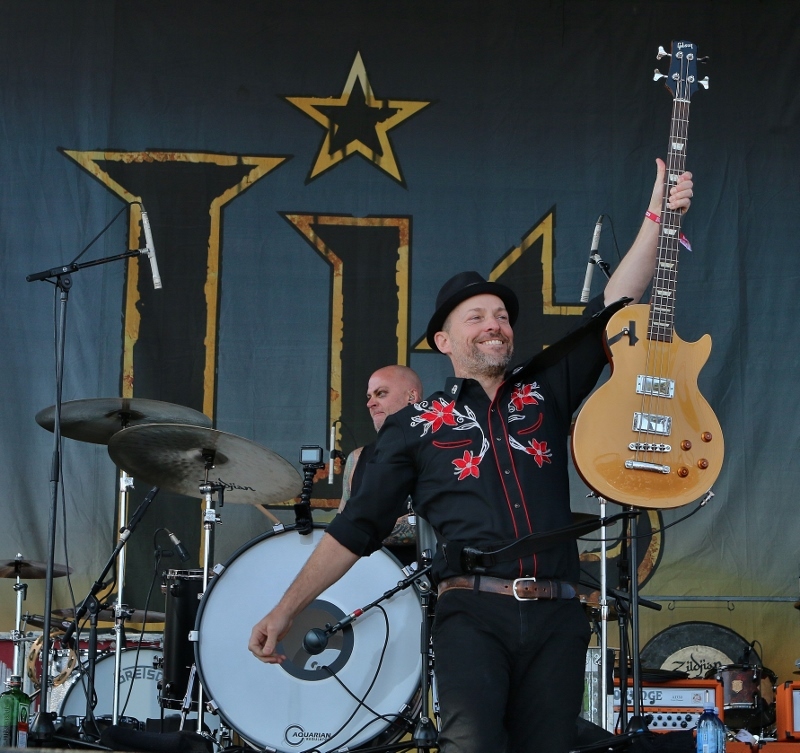 Hats off (sombrero’s actually…) to the festival organizers for a job well done. I understand that this festival is making its way to other states, so “orale muchachos”, Sabroso is coming to you. 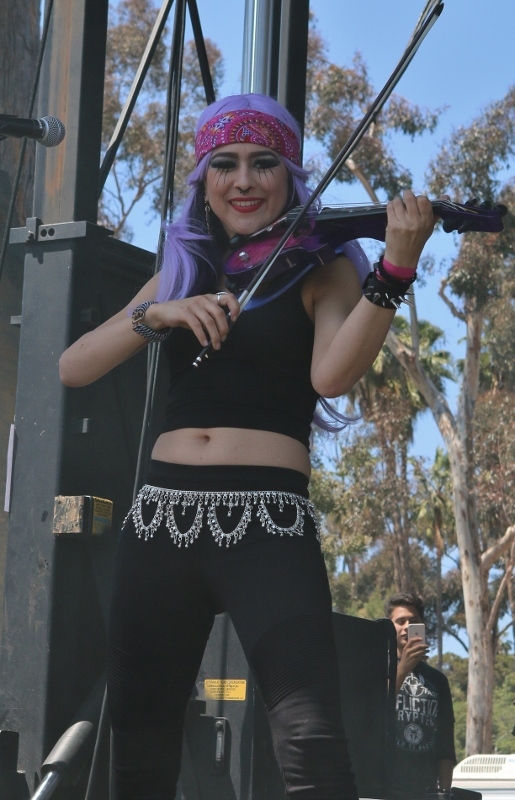 Check out some more photos from the festival!